According to you, what is the best pc clean-up utility which will optimize your system for a better performance? CCleaner is for optimizing your system, protecting your privacy and clean your machine. In brief, it is an ideal solution to remove unused files, to clean up your online activities and to fix registry. Ccleaner is good to clean your pc but I am using "WindMD Pro" PC cleaner software. For my side this is best. This software clean all the unwanted material from your system in few minutes like remove junk files, remove temporary files, clean registry and many more. IT is better to optimized your PC. Enhancing the performance of a computer is more than necessary. It is then important to eliminate bulky files that are no longer needed. Revo Uninstaller is ideal for that. It cleans unnecessary files. Glary Utilities allows to clean your system of the undesirable files, as well as the entries of disabled register but also your traces on Internet. Glary Utilities, really works unbeatable to C cleaner or Advance System Care. Advance System Care some time cleanses your important file presuming it is as a virus. Once I had the bitter experience and have to install the entire OS with a fresh. I am using Glary for last four years and found far better than the other. It has only defect that its UNINSTall does not work like i-obit Uninstaller. Created by the creator of Ccleaner and Recuva, Defraggler is an alternative tool of Windows defragmentation, which allows to defragment the hard disk more effectively and quickly. A special program designed to optimize operation performed on a computer system. A free registry repair software that allows you to safely clean and repair registry problems with a few simple mouse clicks. It helps to remove programs and unecessary items and icons that can be the cause of your computer slowing down. Slowin 'Killer is a simple tool to optimize Windows. Wise Disk Cleaner is a free disk utility designed to help you keep your disk clean by deleting unnecessary files. 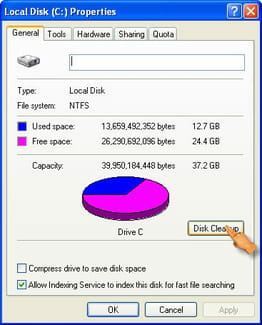 Ensuring you the maximum optimization, this program is easy to use and more efficient than the Windows' defragmenter. Wise Registry Cleaner scans the Windows registry for invalid or obsolete information and presents you with a list of potential problems. RegCleaner is a free utility allowing to determine and to delete all the register base entrances which do not take place any more. It happens that some files just cannot be deleted; and sometimes we resign and leave the file there. FileAssassin is a tool to erase and remove any file from your computer, especially those that cannot be deleted.